“Montreal has the best smoked meats anywhere. So juicy and tender. You have to try it, and you have to go to Schwartz’s!” she stressed. I noted it on my three-day itinerary. My husband Frank and I had managed to squeeze in some vacation time since the kids were in college, and we decided to visit to Montreal, Quebec in the winter. Okay, not the best season as it was facing one of its worst blizzards in years, but once we set about exploring, we realized this city was irresistibly romantic. As snowflakes piled in pyramids on the rooftops of Victorian houses and bronze monuments, we squealed at the delightful, serendipitous scenes. On top of that, we found much to conquer in spite of the weather. And if we came in the summer, I know that we would have a different experience given that Montreal’s surname is the “city of festivals.” In fact, next time I intend to arch my neck at the exploding smiley faces in the night sky during the fireworks festival, an international extravaganza that takes place in June and July. Montreal, dating back to 1642 as a French colony, is diced into distinct neighborhoods, each wonderful for walking, or in my case, trudging through the snow. 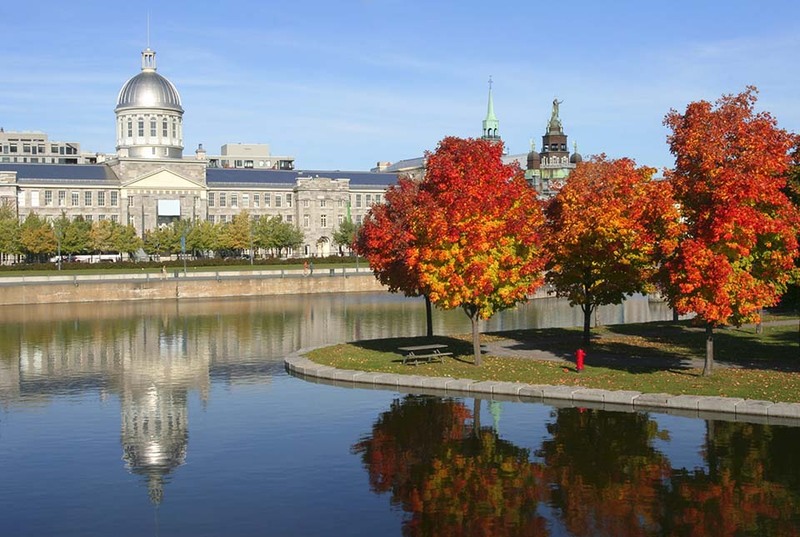 Probably the most frequented is Old Montreal, previously the town epicenter with iconic churches, colonial mansions, and government institutions. Meandering past Victorian street lamps on narrow cobbled pathways, we would duck in and out of minute clothing stores, toy boutiques, and cafes. On warmer days, I’m told, couples can take a horse-drawn carriage ride and go in style through the streets. Given that it was 20 degrees below zero, we were thrilled to find out about the Underground City otherwise known as RE′SO (short for the French word reseau meaning network). Go anywhere downtown, and you will spy a sign and a set of escalators taking you below to a hidden world where everyday life resumes. No one thinks it is weird to go to the post office or do banking underground in Montreal. After we entered and removed our caps, mittens, and scarves, we understood why this was built. It’s just too cold in the winter, and Montreal’s citizens need a break from the frosty chill. The wind can certainly feel like it cuts through your body! The world’s largest underground network, RE´SO is an engineering feat of 20 miles of tunnels linking apartments, shopping malls, hotels, banks, universities and museums. Some parts take you above ground for fresh air and then back down again. Another indoor attraction is the Biosphere, a hands-on science center fun for kids and jaw dropping for adults. The dome features four ecosystems and is operated by the Montreal Nature Museum. For those who cannot get enough of nature and education, you can go to the Montreal Insectarium, botanical garden, and planetarium. 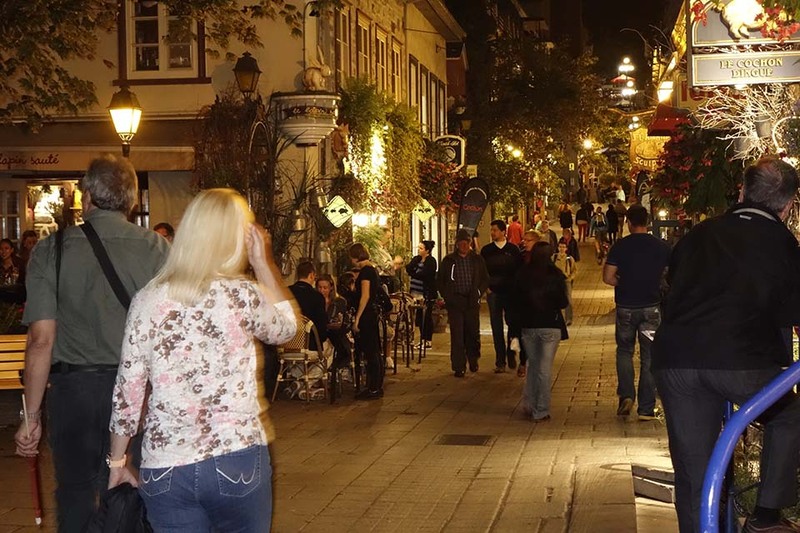 Anyone who has visited Montreal will tell you it has an incredible dining scene, and restaurants from every country can be found throughout the city. You can eat for a few dollars or drop several hundred. It is not hard to find a candlelit restaurant with mouth watering entrees, excellent service, and warm atmosphere. Be sure to taste ice wine, the region’s specialty. For more amour, if you can stand it, head to the Port of Montreal, based on the St. Lawrence River. This major port is where over 2,000 ships pass annually. Watch the cruise ships come in to dock or take a sunset boat ride. Yes, and I did promise Jane and Susan I would partake in a Montreal smoked meat sandwich at Schwartz’s Deli, Canada’s oldest delicatessen, opened in 1928. We found the original, humble small deli counter with non-descript tables and chairs in an unassuming block of town. The original smoked meat sandwich is actually beef brisket piled high (about six inches) between two slices of white bread. In fact there is so much meat that the top slice of bread tends to teeter. It was moist and flavorful as Jane has reported, and I could barely fit it into my mouth. But no one told me that Montreal would have so much to offer in terms of lodging. In Montreal, nesting havens for the romantic are plentiful. Victorian bed and breakfast inns will charm your earmuffs off. One historic stone bank has been turned into a hotel. You can also stay in a modern high rise hotel with views of the St. Lawrence River. And speaking of views, you can visit the Montreal Olympic Stadium and zip up to the tower observatory for a city panorama. If I can give a thumbs up to this city during one of the worst blizzards of the decade, I know that you will thrill to Montreal even more in the spring, summer, and fall. 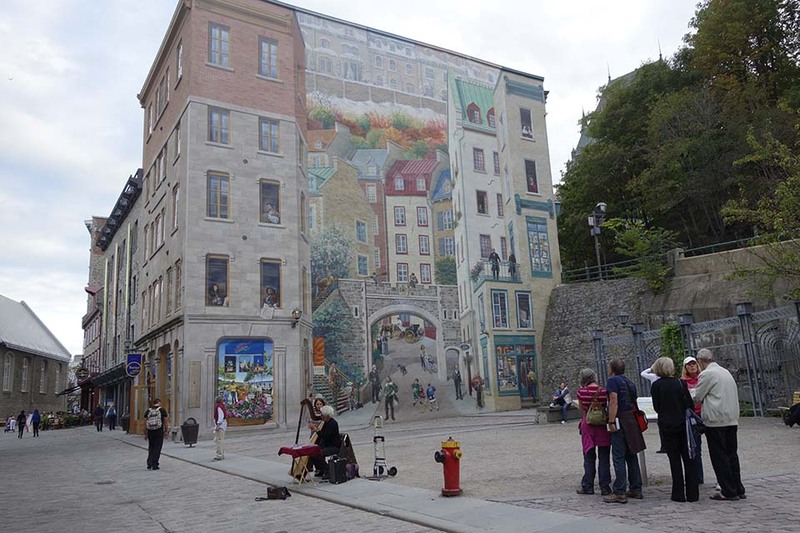 If you are in Quebec as a couple, you have come to the perfect place to commemorate lasting love. More French than most Canadian cities, there is plenty of French ambiance, architecture, and French language lingering in the atmosphere to make you feel as though you are in Europe. I’ve selected seven romantic spots where you can propose, renew your vows, kiss, or hold hands. 1) The Fairmont Le Chateau Frontenac: In my opinion, this is Quebec’s most famous and most beautiful landmark, and it is so large it dominates the city with its castle spires. Early construction began in 1899, and after several additions and renovations, it has maintained its Old World feel and European elegance. With 611 guestrooms and suites, this is THE hotel to book for an unforgettable visit within the walls of Old Quebec. 2) St. Lawrence River: This epic waterway includes several great lakes and touches a variety of Canadian cities. Here in Quebec, the river is popular for a day cruise or an overnight ride lasting several days. 3) The Hotel de Glace Ice Hotel: Stay the night or take a daytime tour in the winter. This is the only ice hotel in North America, and if you want bragging rights, be sure to reserve one of its 44 hotel rooms literally made and carved from ice months in advance. Also on the property is an actual ice cathedral – a cool place to get hitched or have a recommitment ceremony. I came here once and spent the evening although I couldn’t sleep. More than five years later, my friends still remember my stories! 4) Old Quebec: Come to the fortified, historic part of town to buy a special souvenir to commemorate your stay. A print from one of the local galleries or a piece of handmade jewelry will mean a lot in years to come. Aside from shopping, quaint outdoor dining can be found along the Rue du Petit Champlain: breakfast croissant, anyone? 5) Choco-Musee (Chocolate Museum) and Creative Chocolate Shop: Located downtown, you will find that even though it is small, it is the most frequented and aromatic museum in town. You can learn to make chocolate candy or enjoy watching the process. It is a free destination which also features a chocolate retail store. Remember, chocolate is the food of love! 6) Promenade Samuel-De-Champlain: Picnic, stroll, or bike together following the banks of the St. Lawrence River. This is a 2.5 KM promenade, and you can take as much or as little time as you want taking in natural views. 7) Montmorency Falls Park: The sight of this major waterfall will take your breath away. The falls are 275 feet high and 150 feet wide, and along with the thunderous gushing, this spectacle proves to be the Number One drama in town. You can board an aerial tram or cross a suspension bridge for a close-up view. In the summer, the annual fireworks show utilizes the falls as its backdrop And in the winter, sections of the waters freeze, creating interesting icicles and formations. Want romance? Get to Quebec! 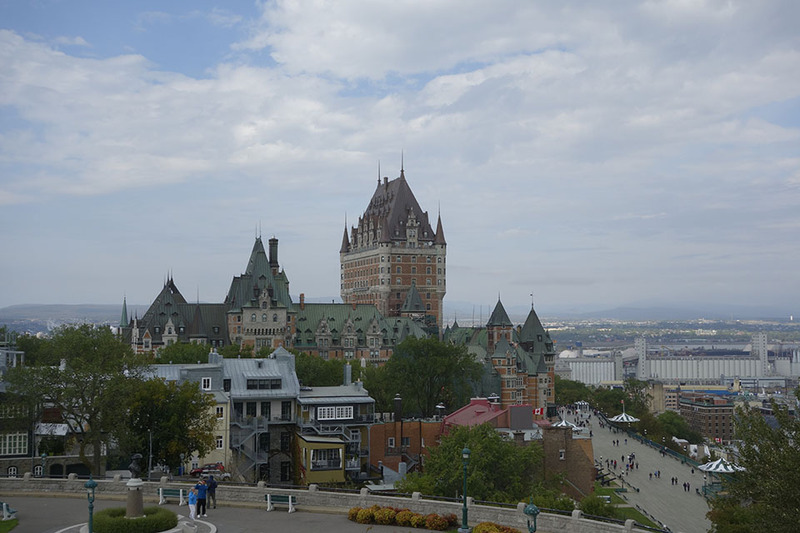 If you are interested in visiting Montreal and Quebec, check out our Montreal & Quebec Vacation package and start planning your next vacation! Kathy Chin Leong is a world traveler and also editor of www.bayareafamilytravel.com, a website for families who love adventure. Next time you are in Ontario, be sure to say hello to Toronto and Niagara Falls. Just go to feel the vibe in these two opposite, but not opposing cities. While one is a busy metropolis touting culture and architecture, the other delivers on natural wonders stunning and powerful. 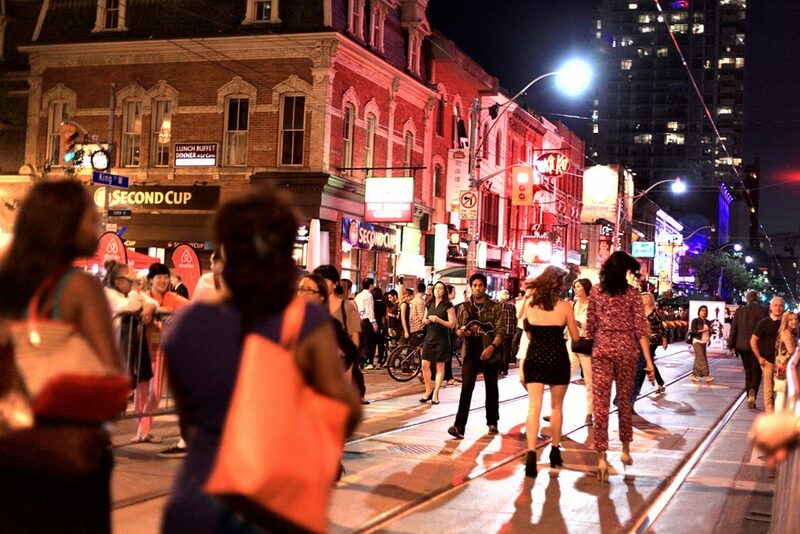 Toronto is the country’s largest city with over 2.6 million very busy Canadians. It operates as a financial nerve center as well as a cornerstone for filming movies, TV shows, and commercials. Over the last few years, the city has grown into a hip destination with a food scene that rivals that of New York City. It’s got a fantastic skyline of blocky high rises and buildings designed with unorthodox geometric shapes . Whereas the community of Niagara Falls is all about nature, you go to Toronto to dive into man-made treasures. Be sure to visit the CN Tower, the world’s second tallest at over 1,000 feet high, boasting clear glass floors, a 9,000-bottle wine cellar with Ontario wines, an arcade, and a rotating restaurant. Note: CN stands for Canadian National and is designated as one of the seven wonders of the modern world. Those who hanker for an adrenaline rush should sign up for the Edgewalk and feel what it is like to be outside 116 stories above the ground. Yes, some folks think this is fun; others say it is crazy. During this excursion, you are hooked to the CN Tower’s exterior and walk around on a platform for 30 minutes. Feel more secure on the ground? 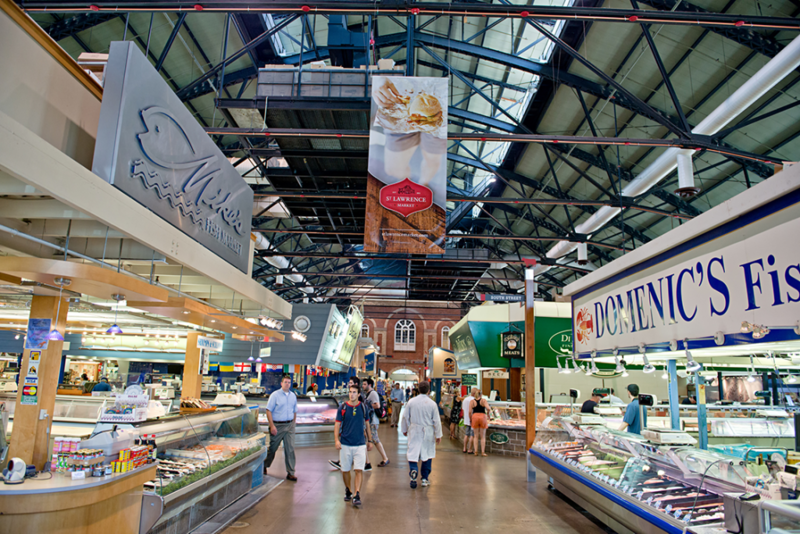 Satisfy your shopping urges at the St. Lawrence Market to find over 100 vendors selling cheese, produce, meat, baked goods, and more. It’s foodie eye candy at its best spread across three buildings. Spend at least a couple hours meandering through the stalls. More than 200 years ago, the brick buildings served as a police station, a jail, and then government offices. Other must-sees in the area include the Royal Ontario Museum, the nation’s largest museum of natural history and world cultures. The building itself with its geometric triangles and trapezoid architecture is worth the journey just to see it up close. And folks cannot leave without paying homage to Casa Loma, an Edwardian castle built in the early 1900s. Mysterious secret passageways, storied rooms, tunnels, blooming gardens brings out the imagination in everyone. After all this hubbub and excitement, you are probably ready to dial it down, way down with a visit to Niagara Falls. The city of Niagara Falls is much smaller with only a population of 82, 997. It’s a cozy community covering only 82 square miles and is filled with hiking and walking trails. Bicycling is popular as well. Popular neighborhoods include Lundy’s Lane, Fallsview Boulevard, and Clifton Hill. Lundys Lane is dubbed as the town’s favorite ‘hood filled with more than 75 shops and boutiques and outlets, and more than 30 places for lodging. Kids will love Waves Waterpark. The Fallsview Boulevard can be dizzying, I warn you. This adult playground is populated with casinos and posh restaurants. 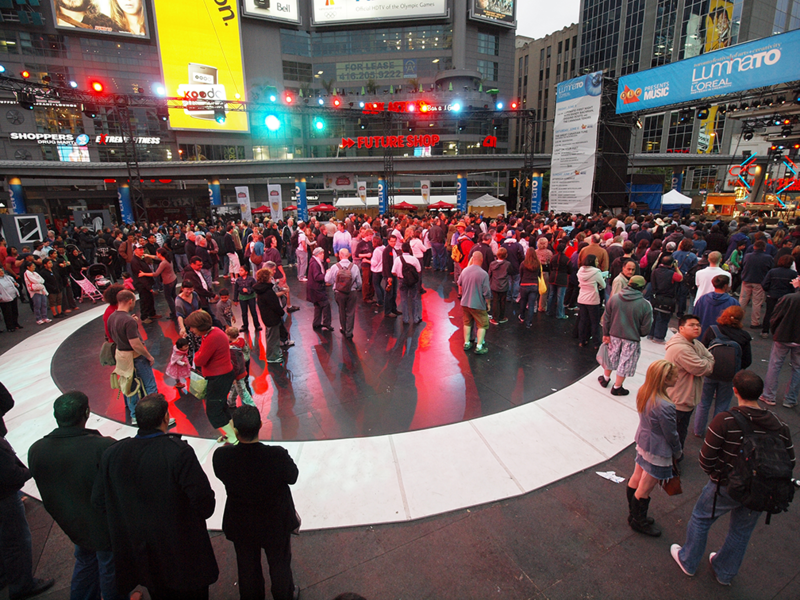 It’s billed as hip and happening, and you will get more than your fill of nightlife. Hotels include brand names such as Embassy Suites, Hilton, Holiday Inn and Wyndham Inn. The Clifton Hill District is minutes away from the falls and offers a litany of restaurants, shops, and touristy attractions. This entertainment district features the Rock Legends Wax Museum, a Ripley’s Believe it or Not, and a variety of family-friendly eateries such as T.G.I Fridays. At night, the streets are lit in neon. But it’s the actual Niagara Falls that lures millions of onlookers. Estimated to be about 12,000 years old, it flows at 35 miles per hour and is so large it is split into two falls- one is the American Falls on the U.S. side, and the other is Canadian Horseshoe Falls along Ontario. The Horseshoe Falls, 180 feet high, sees about six million cubic feet of water go over the edge every minute. How to see it? Book a trip to Niagara on a cruise boat and get splashed by the famous overspray. Or go during the night on an evening cruise where the waters are illuminated with colorful lights setting the stage for a romantic evening, weather permitting. You can slice and dice the Niagara visit in so many different ways. Experience the Niagara by helicopter, private plane, or even jet boat. Give yourself at least four days to a week to enjoy the pleasures of both Toronto and Niagara Falls. The bookend cities will make your travel story complete. 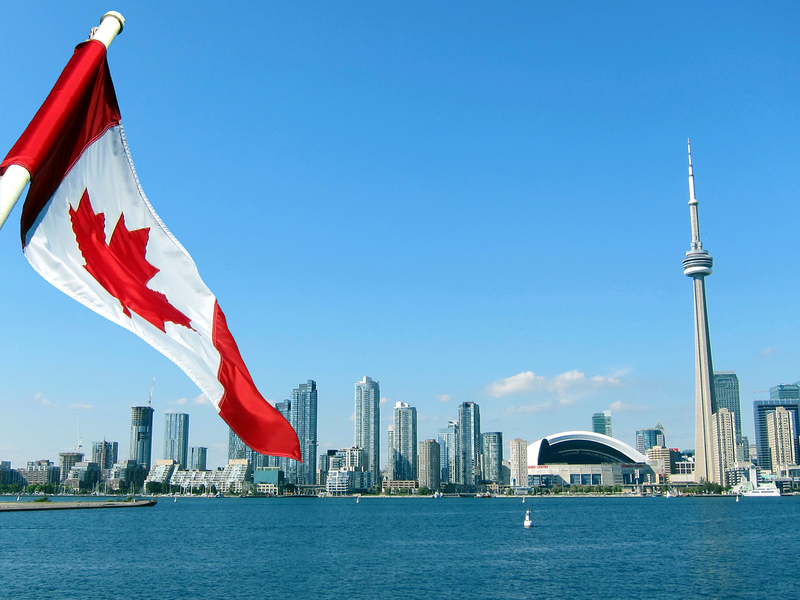 If you are interested in visiting Toronto and Niagara Falls, check out our Toronto and Niagara Falls package and start planning your next vacation!